Make it. Sell it. Profit. What would it look like for you to create a course based on the content and focus of your brand? Have you considered taking this step but find yourself at a loss as to where to start? Good news! I want to introduce you to two women who were brave enough to put themselves out there with their content, Brandice Lardner and Shannon Clark. In our conversation, Brandice and Shannon open up about the communities they’ve built online, why it’s helpful to start with a test or pilot program, how to get people interested in your test program, why it’s important to gather and listen to feedback, how to adopt a long-term mindset, and much more. I can’t wait for you to learn from the wonderful insights these women have to share! [3:00] Brandice talks about her online program, Find Your Grace Filled Plate. [5:15] Shannon talks about her online program, Budget Breakthrough. [12:00] How did Brandice Shannon get people to take a chance on a new program? [14:30] Feedback can be very constructive. Are you asking for it? [17:30] You’ve got to adopt a long-term mindset if you want to succeed. [21:00] What does building relationships with your customers look like? [32:15] Brandice and Shannon enter the Lightning Round; rapid-fire questions. Yes, I’ll help Jeni by leaving a review! What are you waiting for? Create a course! I know what you’re thinking—who has the time to create a course? I won’t sugarcoat it: It’s not going to be easy, but it will be worth it! Here is the good news: you don’t have to have it all figured out and polished to get started. You can follow a similar path that Brandice and Shannon took by reaching out to your followers to see if they’d like to participate in a pilot program. The advantage of launching a pilot program instead of launching a full-blown course is that you get to learn and adapt your content to your audience’s needs as you go through the material. The critical piece of launching a pilot program is to proactively gather feedback and learn from the people who were willing to be your test subjects. Does creating an #OnlineCourse sound too intimidating? It doesn’t have to be! 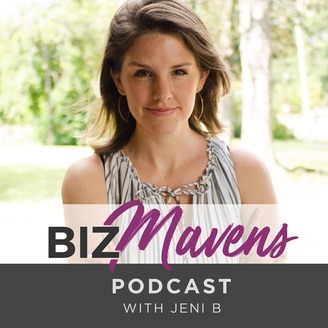 On this episode of #BizMavens, you’ll learn from Brandice Lardner & Shannon Clark as they share their stories of creating successful courses. Don’t miss it!Click To Tweet Don’t ignore feedback—lean in. If you want your message and your content to resonate with your audience, you need to listen to them. I’m not saying that every comment or piece of feedback is created equal. Some people are just mean or trolling, and they aren’t worth your time. When you create a pilot program and invite a select group from your audience to participate, though, you’ve got a group who loves your message and wants you to succeed. Seize this opportunity to learn from them! Don’t let yourself get defensive or combative. Embrace the feedback, find a way to learn from it, and move on. When your audience sees that you care about their feedback and you adapt your approach accordingly, you’ll win their loyalty. When you create a course for your audience, you’re investing in the long-term success of your brand and platform. If you want to diversify your options, creating a course is a worthwhile investment. Your regularly scheduled content will keep people visiting your site, but it’s projects like courses and programs that will turn followers to fans. Once you’ve turned a significant number of your passive followers into fans, then your brand will be unstoppable. To hear more about embracing a long-term mindset and what it takes to create a course, make sure to catch my full conversation with Brandice and Shannon on this episode. You don’t want to miss it! 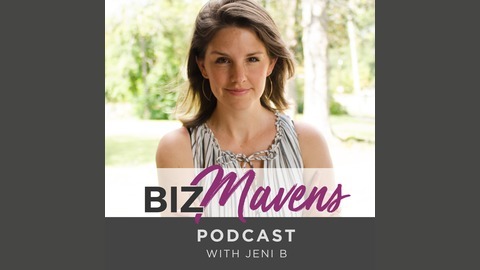 024: How To Run a Pilot Program for a Stronger Online Course, with Brandice Lardner & Shannon Clark is a post by Jeni B. at Biz Mavens.